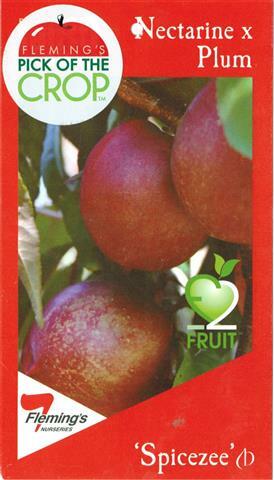 Buy Spicezee Nectarine x Plum Fruit Tree - Prunis sp. Comments: - WISH LIST Oh, but I would love to try this. 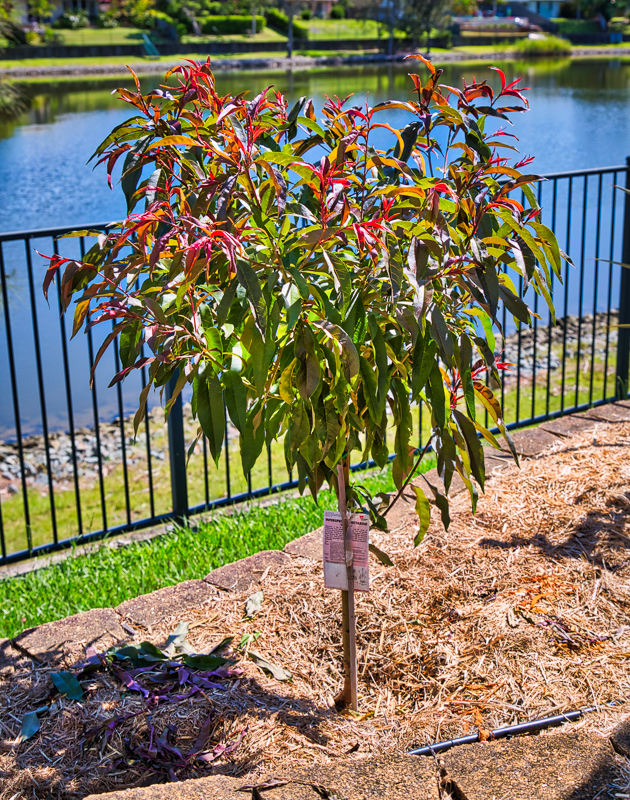 Heard it can out perform a low chill nectarine in my part of Brisbane. Would like a productive stone fruit. But how well does this do in a pot? 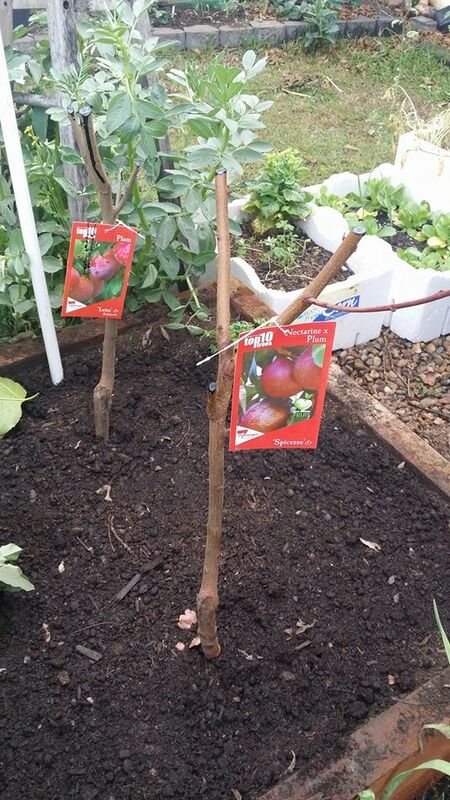 Heard about this fruit tree from one of Tom Spellman's excellent YouTube videos for Dave Wilson Nursery. He raves about it, and from what I've read, it's certainly worth raving about. 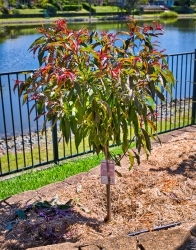 Bought this as a potted tree rather than a bare root tree, and planted it in a garden bed in late October 2017 (Gold Coast). I prepared the bed with compost, chicken poop compost, and Dynamic Lifter, and watered the tree in with a healthy dose of Seasol. The entire bed has a thick layer of cane mulch. It has thrived, and at present (Jan 2018) it's about one metre tall. 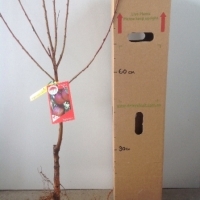 As with all my other trees, it will be pruned regularly so it grows no taller than 150-180cm. 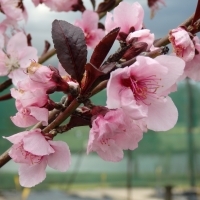 It's self-pollinating, but there are plum and nectarine trees nearby to perhaps give it a boost with some cross-pollinating. I use a soil moisture meter, and water as necessary. 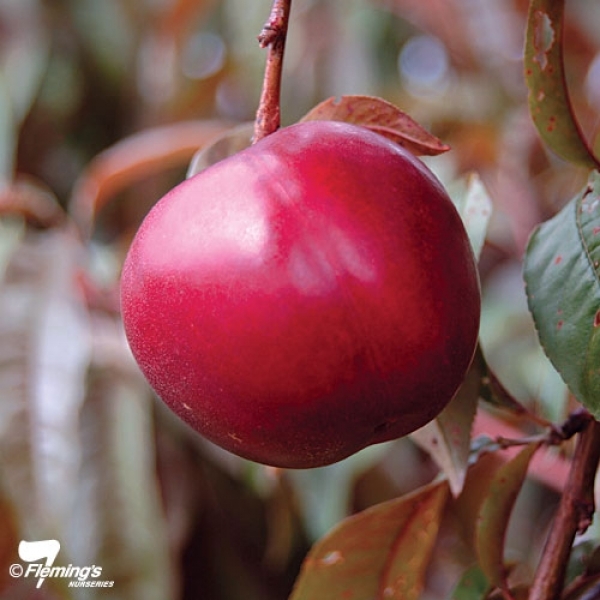 If the tree continues at its current growth rate, I'm hoping it will be strong enough and the root structure developed enough that I can leave a few fruit on next season to taste.